Encircling he Mont Blanc Massif and running through portions of France, Italy, and Switzerland, the TMB offers close inspection of this impressive mountain complex, including active glaciers that flow off the mountain in all directions. 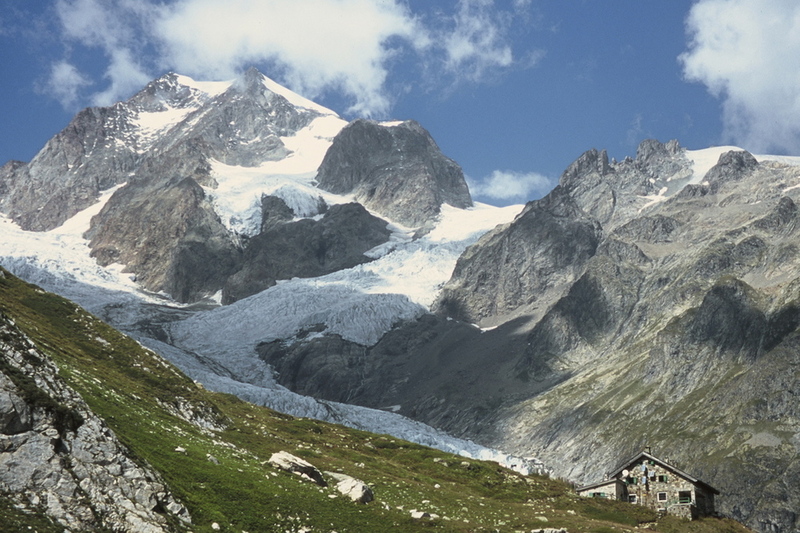 Walkers stay in mountain refuges and small inns in a series of towns, including historic and tourist friendly Chamonix, France, and Cormayeur, Italy. The TMB is roughly 100 miles (depending on a series of alternative routes), but it is possible to walk the trail in sections. Refugio Elizabetta sits at the foot of one of Mont Blanc's many glaciers.